My MacBook's HDD has 2 partitions. One has OS X 10.8 installed, the other one 10.9. I'd like to delete the first partition and merge the free space afterwards to the 2nd partition. What's the easiest way to do this? Can I use diskutil eraseVolume/mergePartitions? 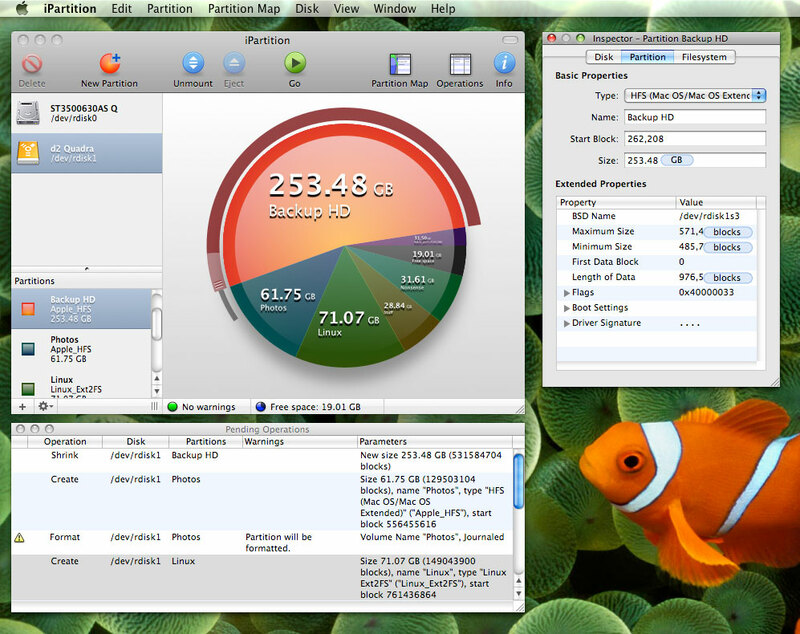 For all my partitioning, I use and recommend iPartition. It will allow you to resize partitions without deleting any data. It also works for Boot Camp volumes and other PC disks. It will automatically move partitions if necessary to allow resizing into free space that is located before the partition. I ended up wiping the 1st partition, reinstalling 10.9 on it, migrating the data from the 2nd partition onto it using Time Machine and then removing the 2nd partition using Disk Utility. I didn't try using Carbon Copy Cloner or DuperDuper to move the entire partition directly, because I wanted a working OS X Recovery Partition, but I recon that could probably work as well. Not the answer you're looking for? Browse other questions tagged hard-drive disk-utility partition disk-format . How do I merge System partition with another HFS+ partition without data loss? I erased the partition where Windows 10 was previously installed. How can I merge it with my OS X partition?